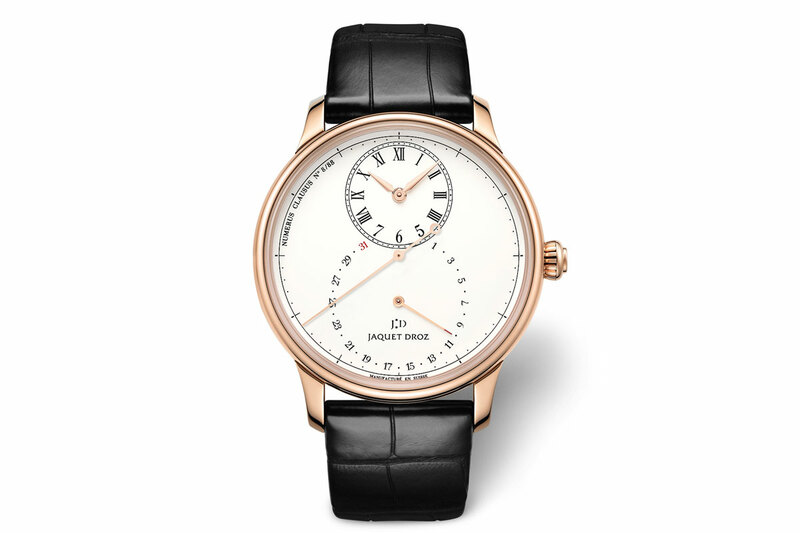 The Jaquet Droz Grande Seconde is a very recognizable watch and I think many watch aficionados who hardly know the brand, will still recognize this watch and maybe even ‘name’ it. A very beautiful and elegant watch! The perfect gentlemen’s wristwatch? 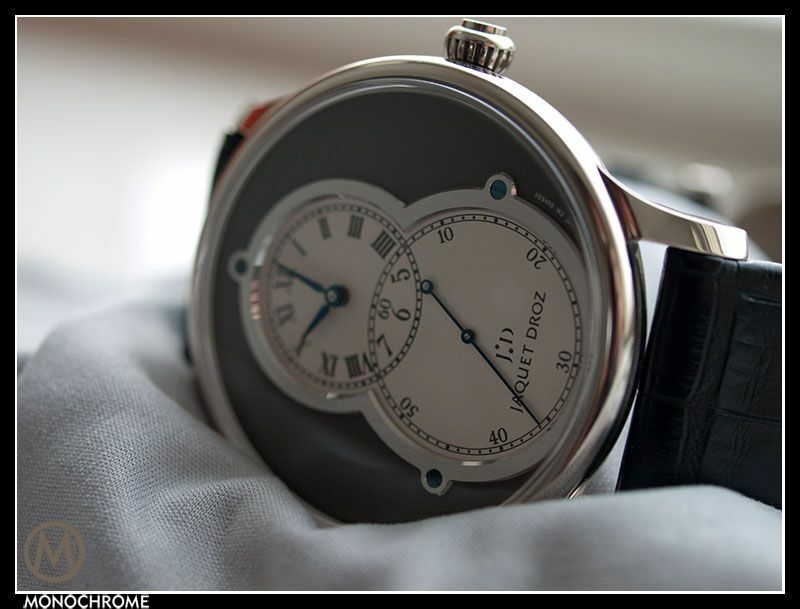 Jaquet Droz is one of those brands you won’t find much information about when searching online. Why? I have no idea. 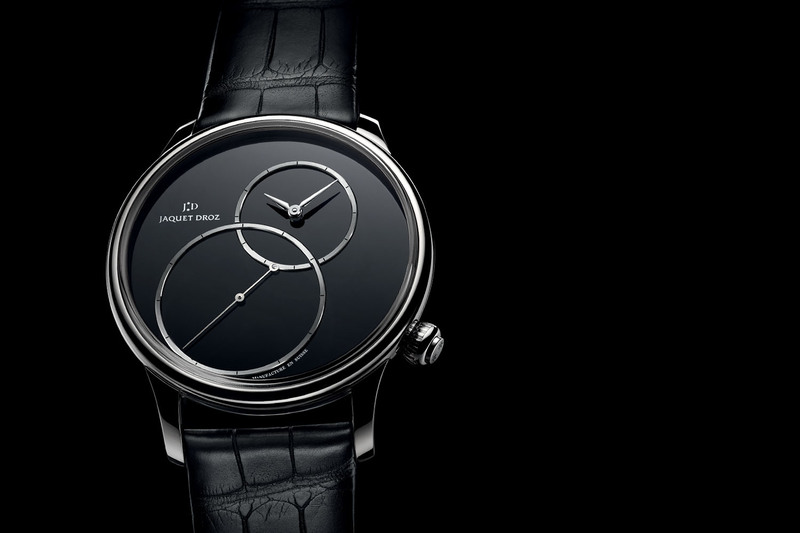 Jaquet Droz is well known for their Grande Seconde models, available in different variations. 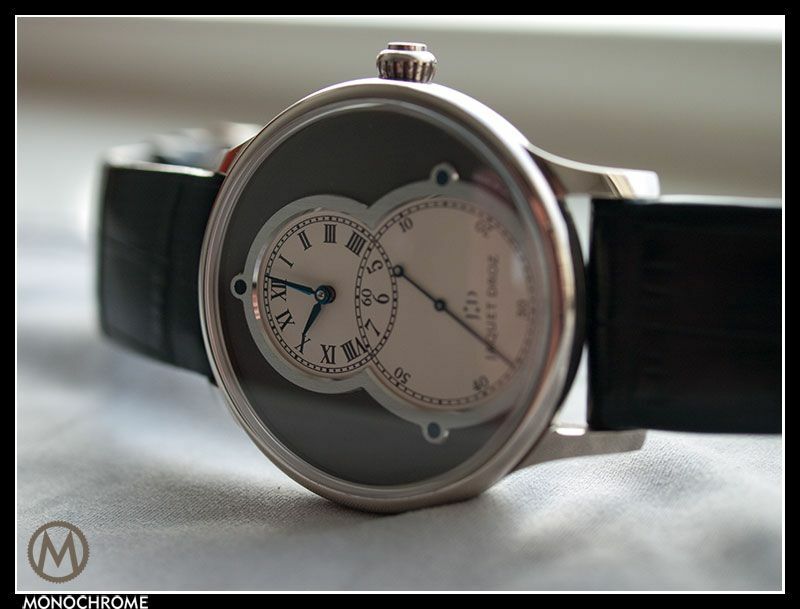 Of course there are other models without grande seconde, but the Grande Seconde and Grande Seconde SW are the most well-known models judged by the attention these two get on the forums. 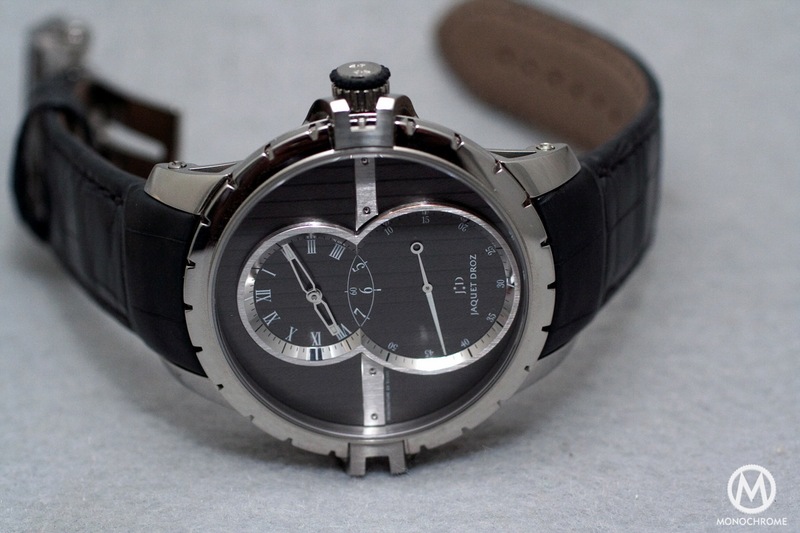 This is the Grande Seconde Circled Slate and it’s a 43mm large, 18 carat white gold watch with a slate grey dial. It’s one of those watches that catch people’s attention because of its elegance and beauty. 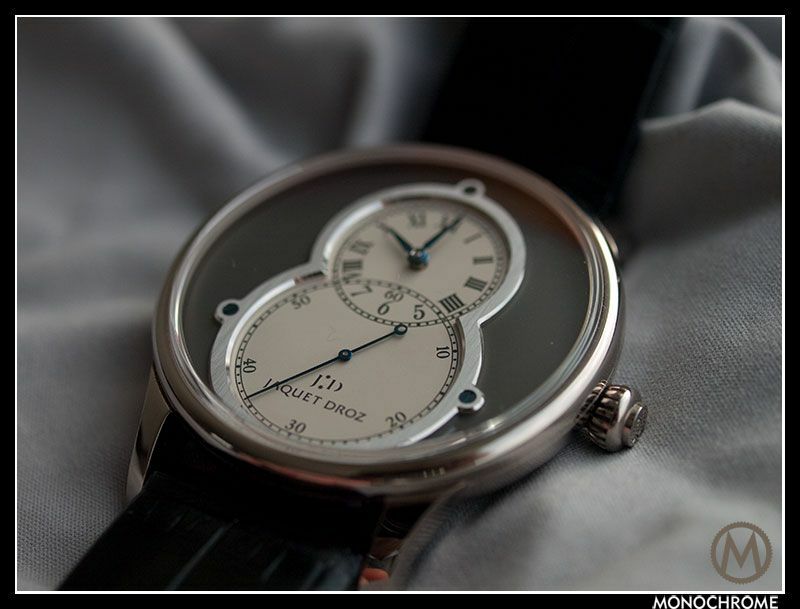 The off-centered hour and minute hand are so typical for Jaquet Droz, as is the big seconds hand. A friend lend me this watch for a few weeks, so I could really get the feel of it and this is one of the watches you can wear for days, weeks in a row without getting tired of it. It looks as great with a casual outfit as it does with a suit, so a nice all-round watch. You just don’t want to wear it to the beach or when sporting. But there’s more to it. Inside you’ll find a caliber 2663, which is in fact a beautiful Frédéric Piguet movement that is fully hand-finished and assembled in the Jaquet Droz manufacture. Two main spring barrel ensure a power reserve of 68 hours, so more than enough power reserve to put it in the watch box during the weekend and Monday morning you won’t have to set it again. The movement has a frequency of 28,000 v.p.h. and 30 jewels make sure friction is reduced to a minimum. Just look at the magnificent 22 carat white gold signed rotor. The bridges are decorated with côte de Genève and hand-beveled. This is done in-house, after the movement arrived as an ebauche. This means it does not come assembled but in parts and this allows Jaquet Droz to do their own finishing and decoration on these parts. 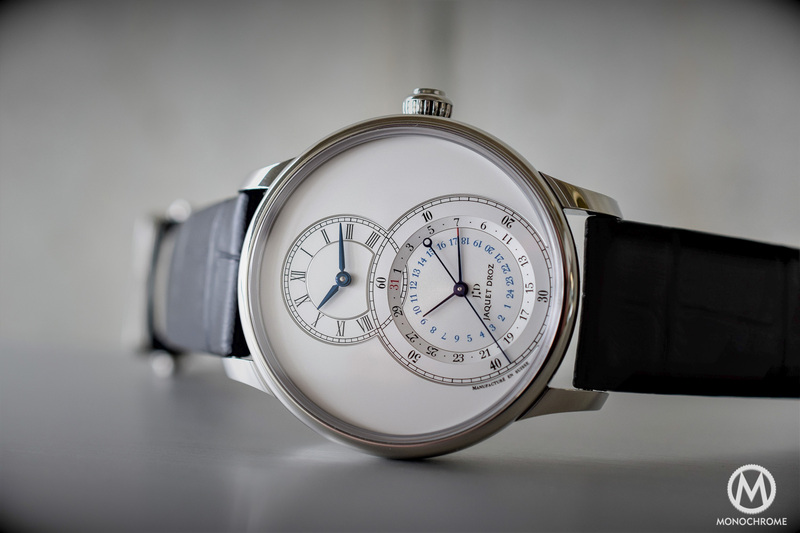 It’s good to see Jaquet Droz doesn’t go for cheap solutions and puts in the extra effort of hand-finishing and decorating. 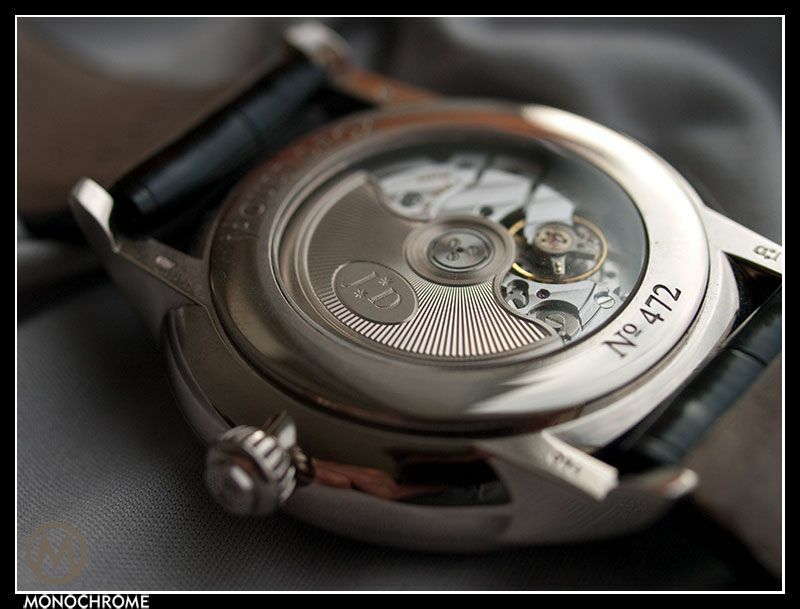 I think this compliments the rest of the watch that is already perfectly finished and designed with an eye for detail. The 18 carat white gold case is rather large, measuring 43 mm in diameter, but wears very comfortable and actually looks like a perfect size on my average sized (18 cm) wrist. The hand-made strap with a so-called rolled edge is made of black alligator leather. The rolled edge means no visible stitching and this matches perfectly with the whole design of the watch. And this is probably the feeling that remains after a month of wearing the Jaquet Droz Grande Seconde Circled Slate… perfect design, elegant, impeccable, beautiful details. And this goes for both the case/dial and the movement! 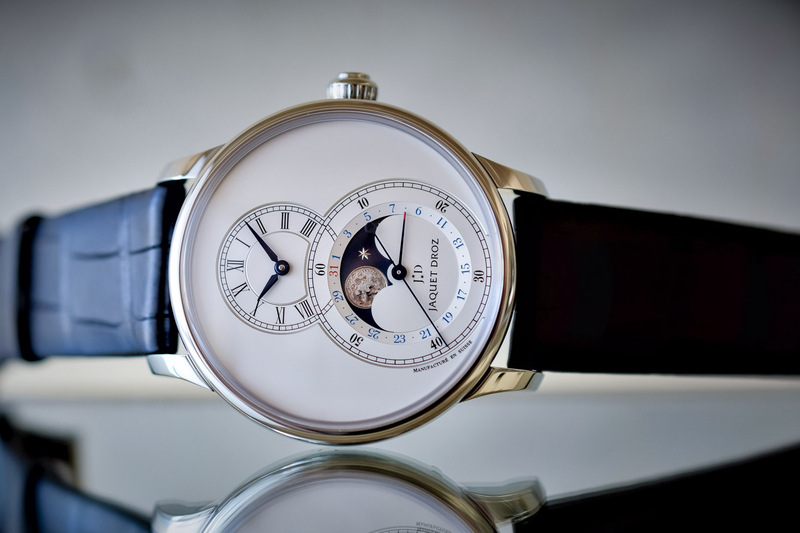 The Jaquet Droz Grande Seconde is in my opinion a perfect gentlemen’s wristwatch. 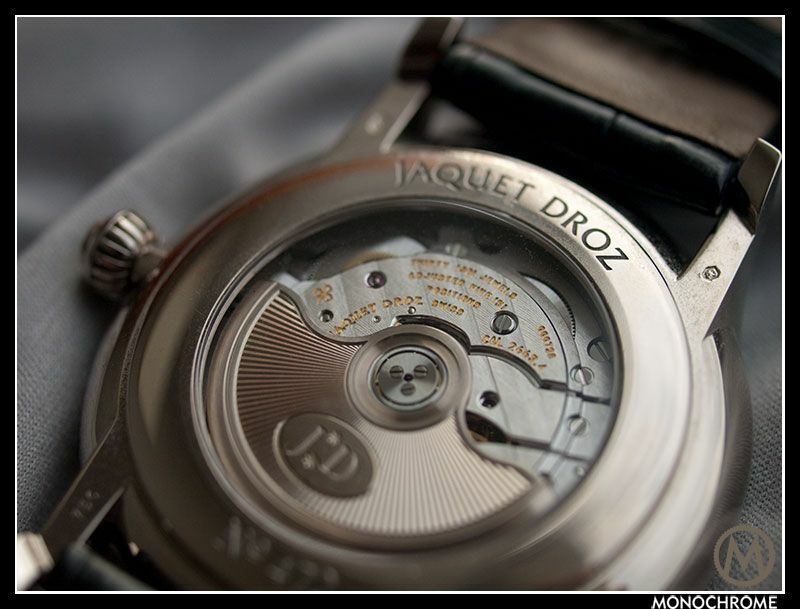 More information can be found on the Jaquet Droz website and on the official Jaquet Droz Facebook page.